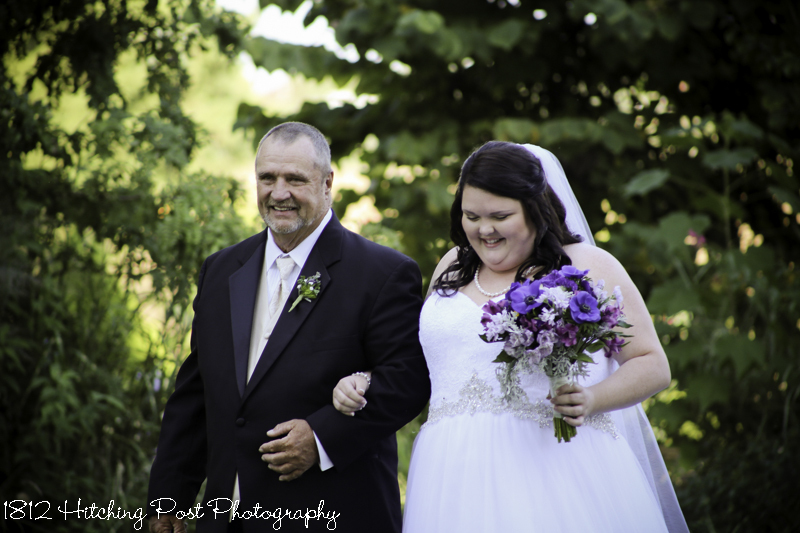 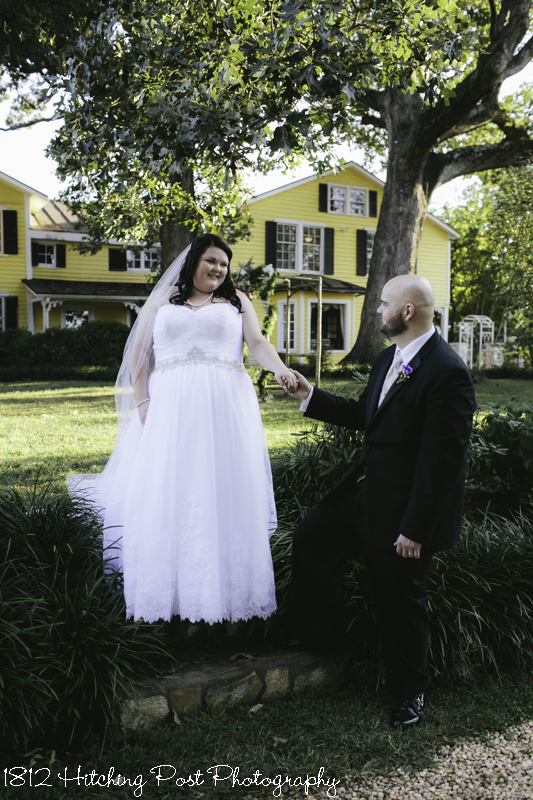 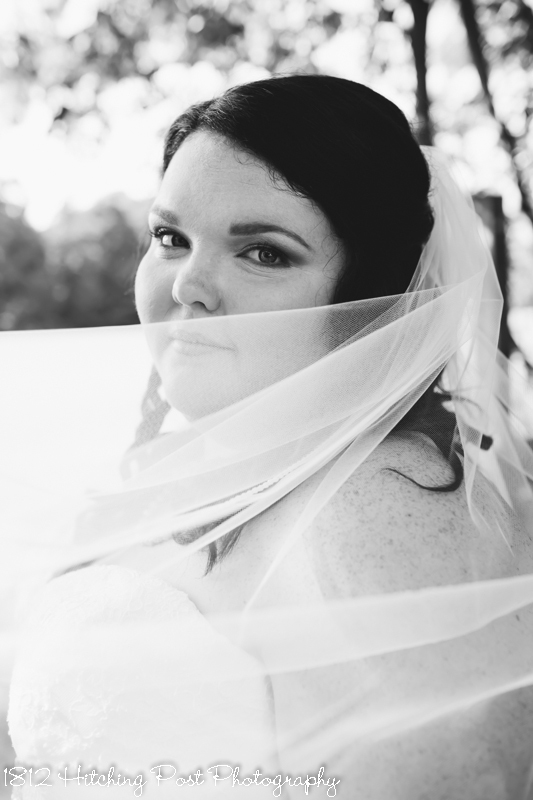 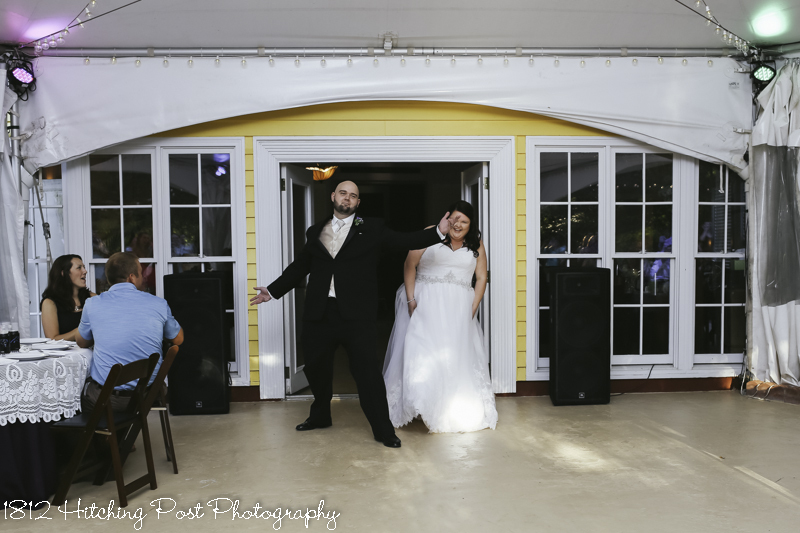 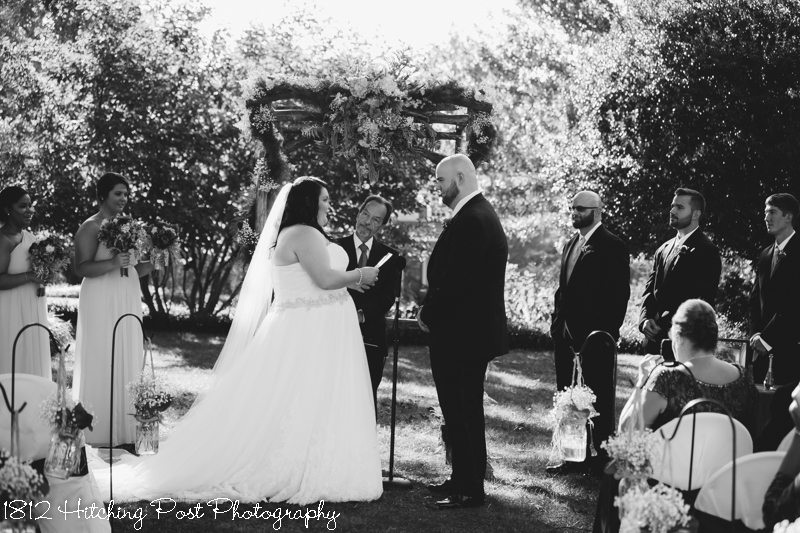 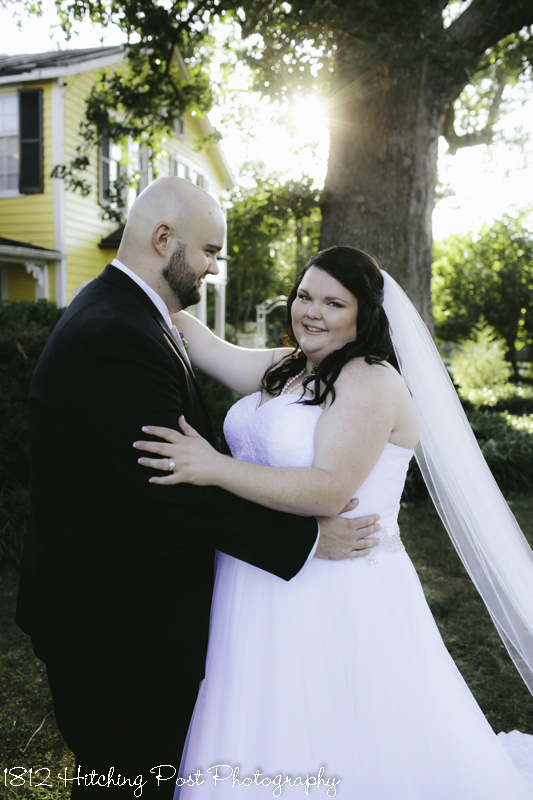 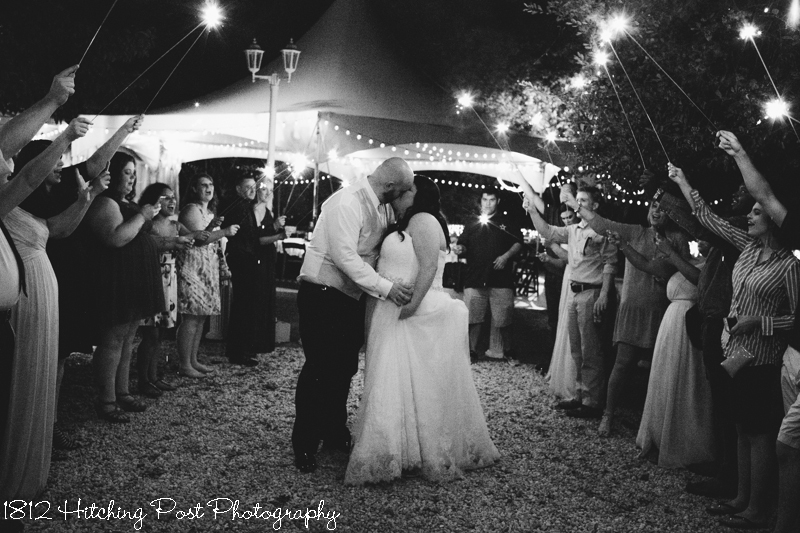 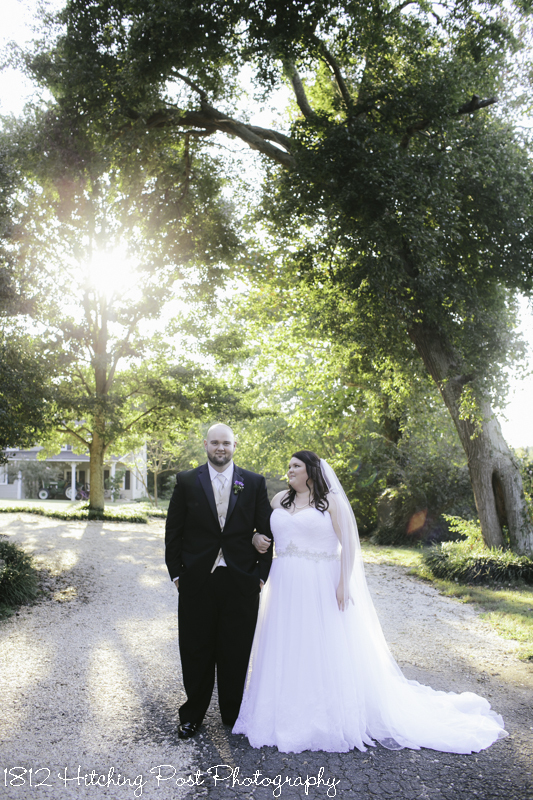 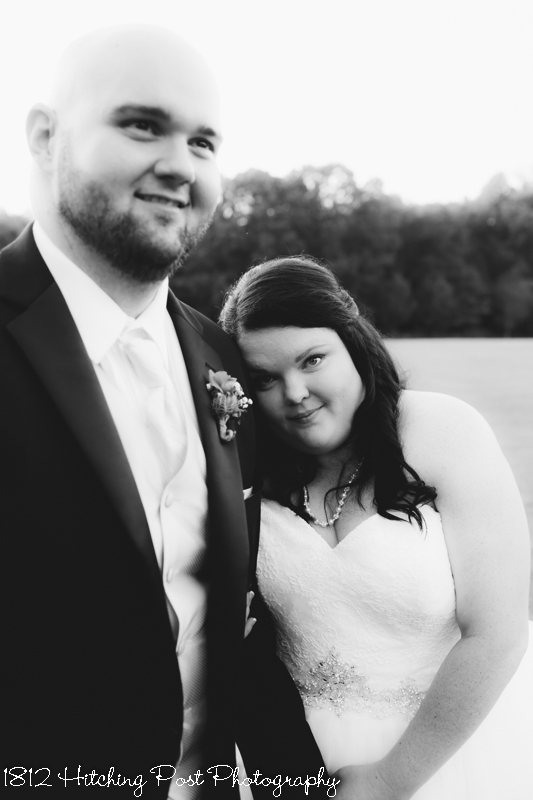 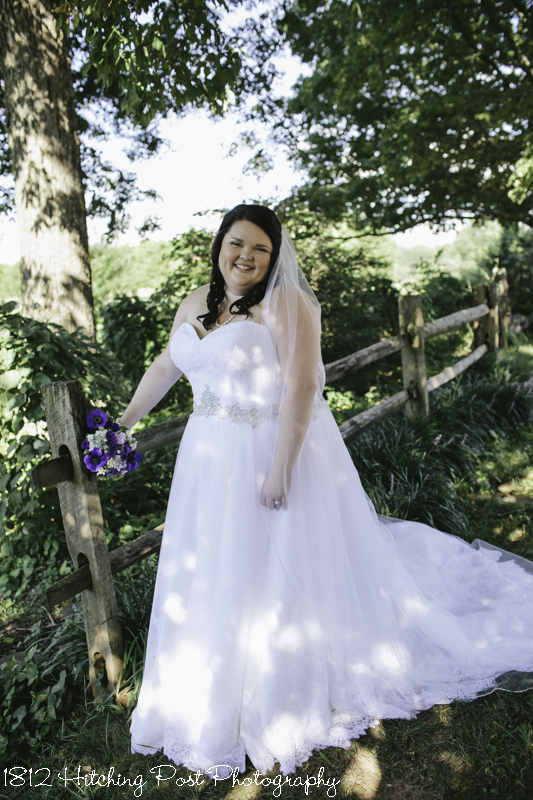 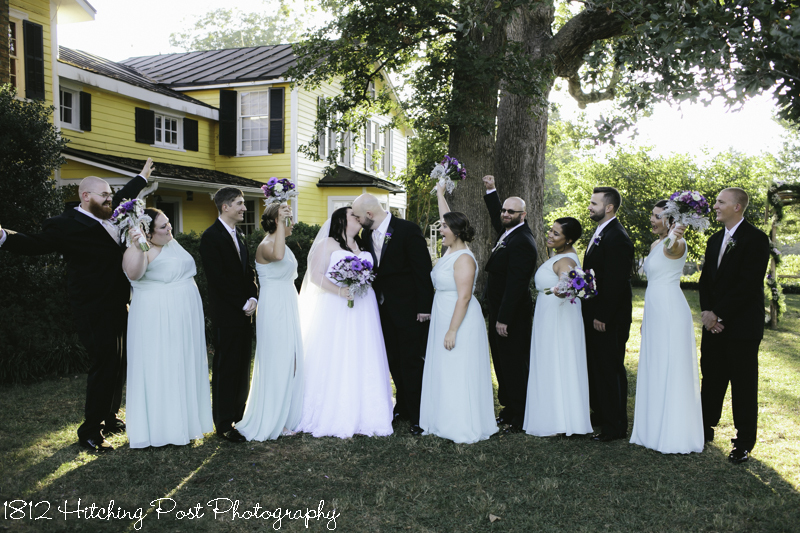 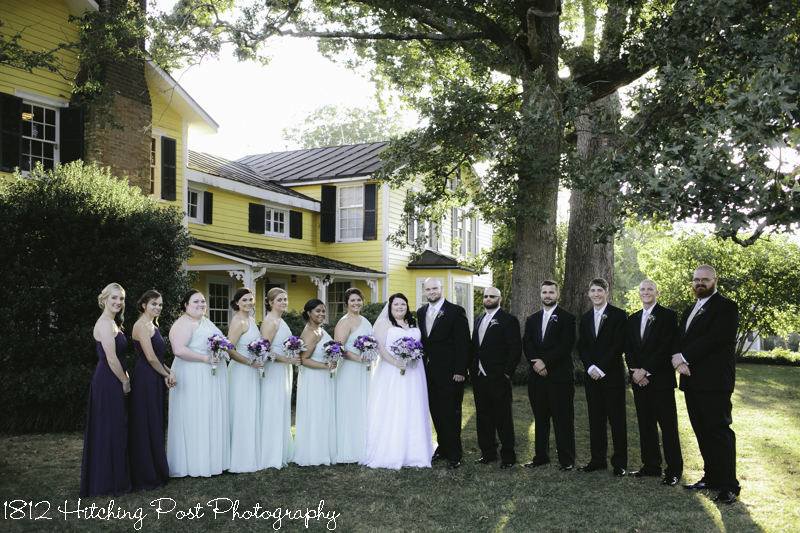 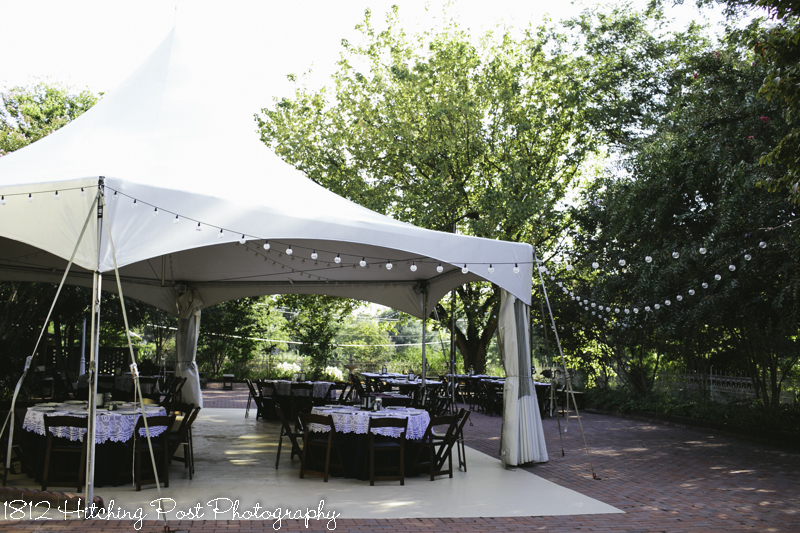 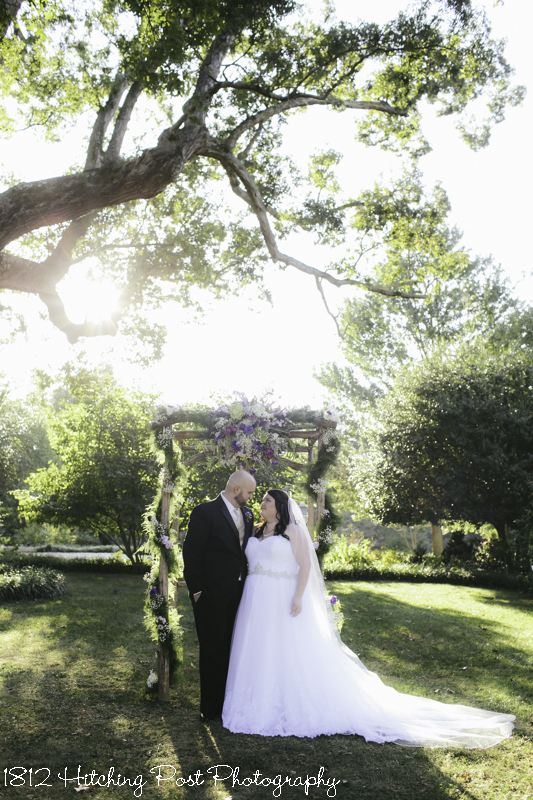 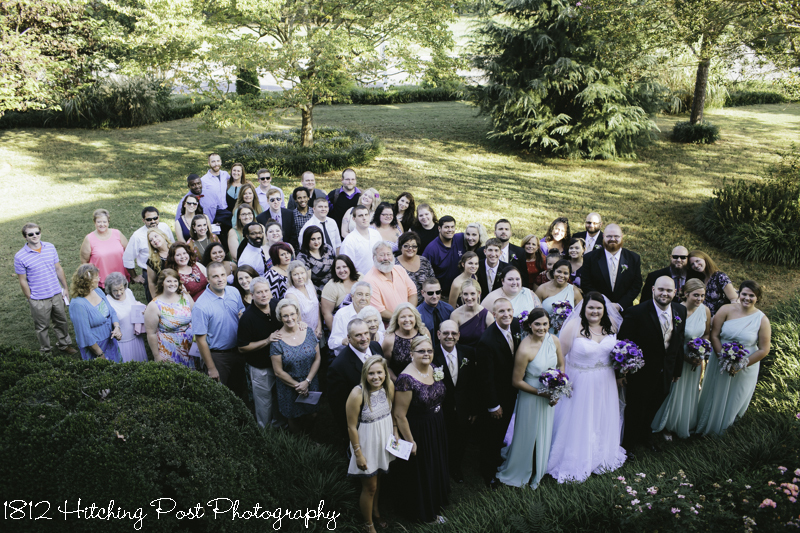 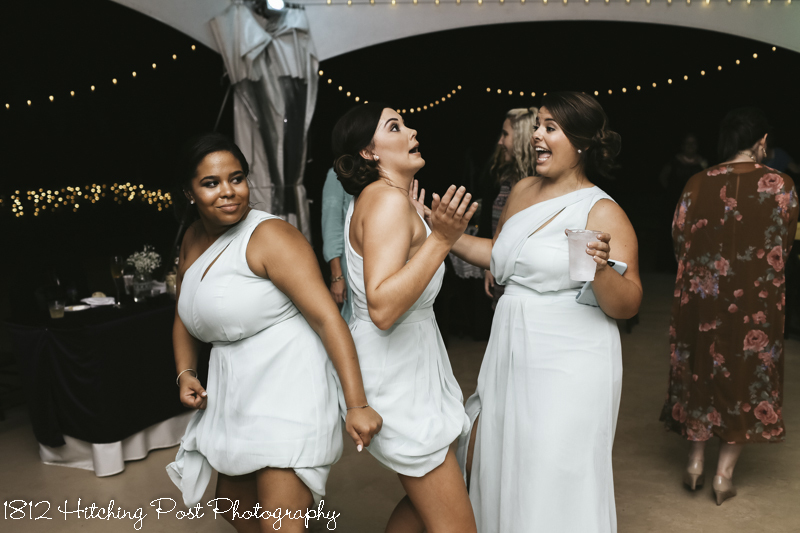 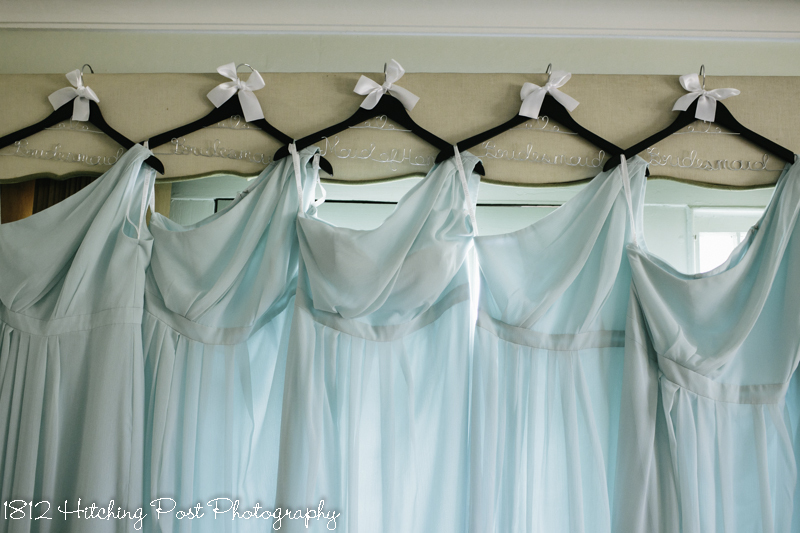 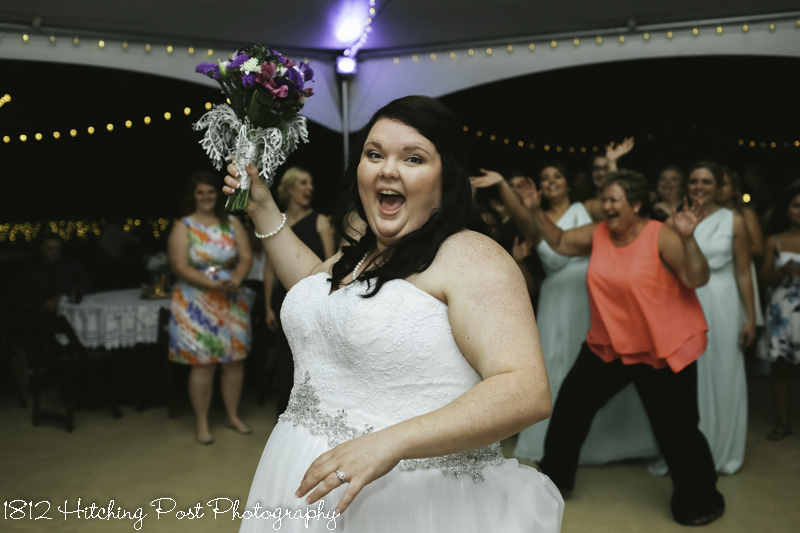 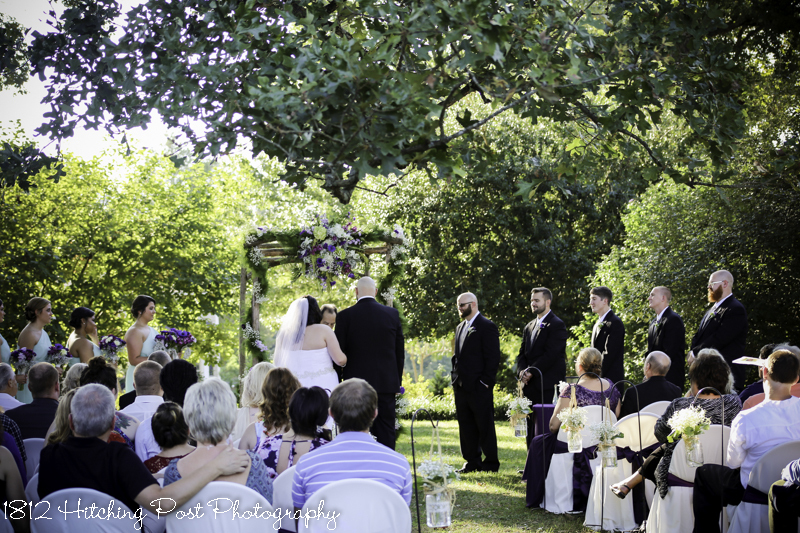 Brittany and Terry chose the Platinum package for their romantic wedding. 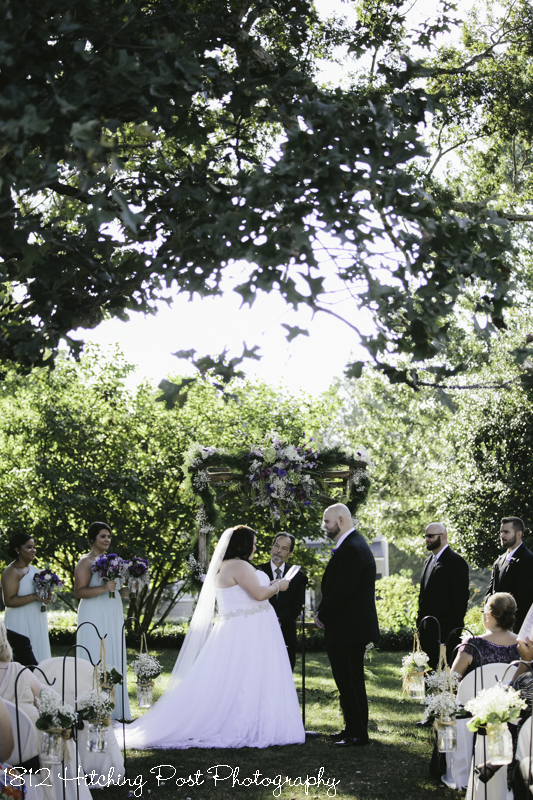 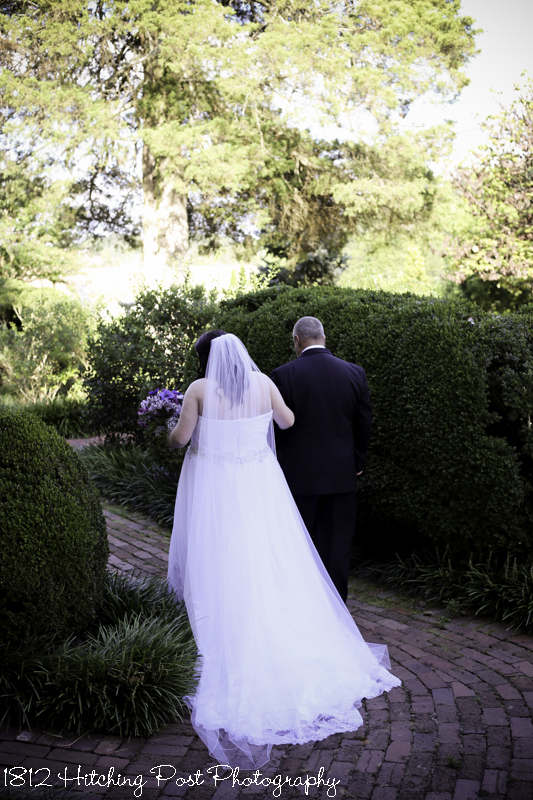 The arbor was gorgeous with flowers and greenery from Johnson’s Greenhouse. 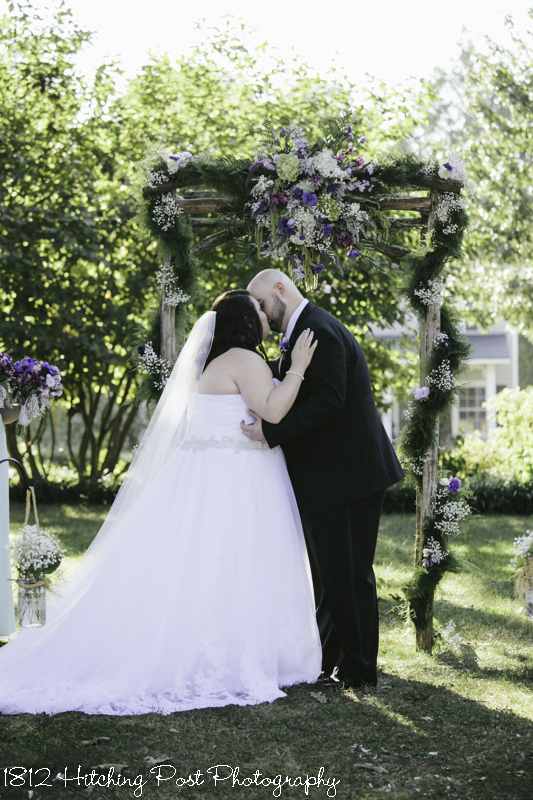 An asparagus fern vine wrapped the uprights of the arbor with delicate purple, white, and green flowers tucked in and the amaranth in the main spray added to the sophisticated look. 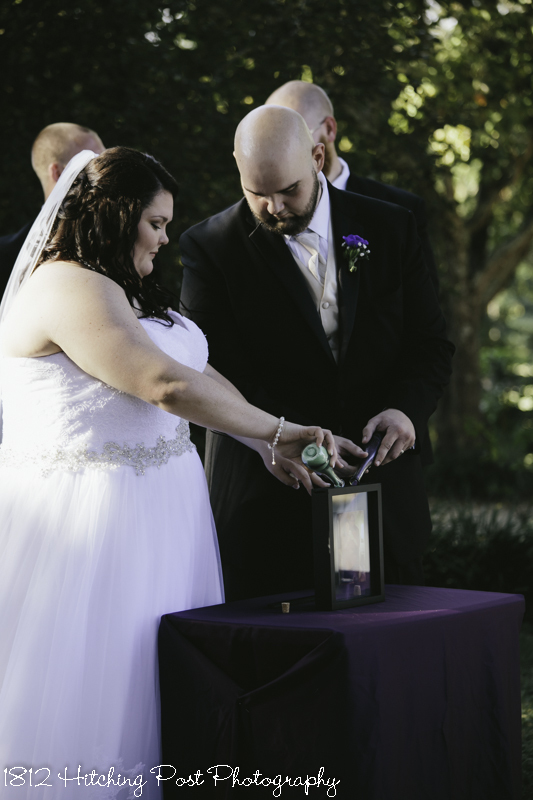 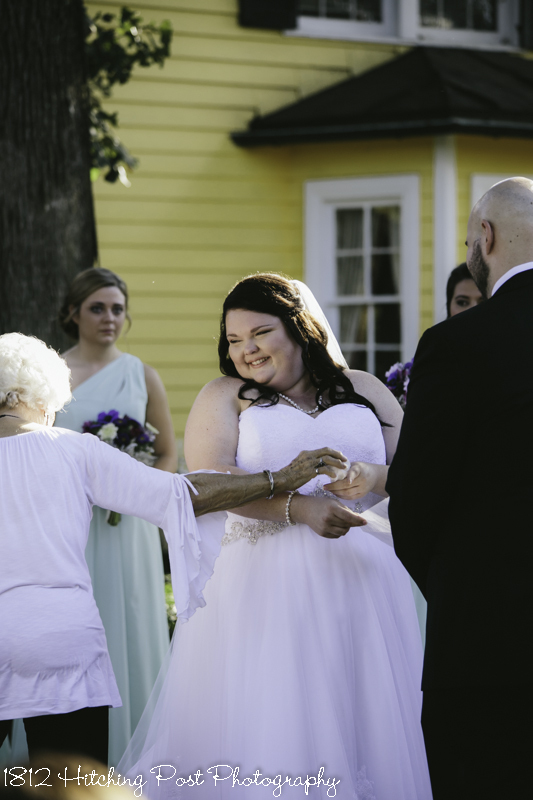 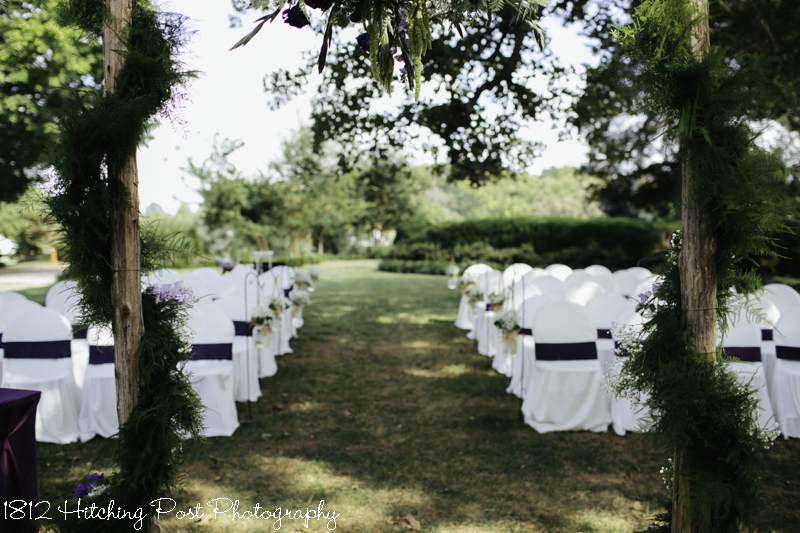 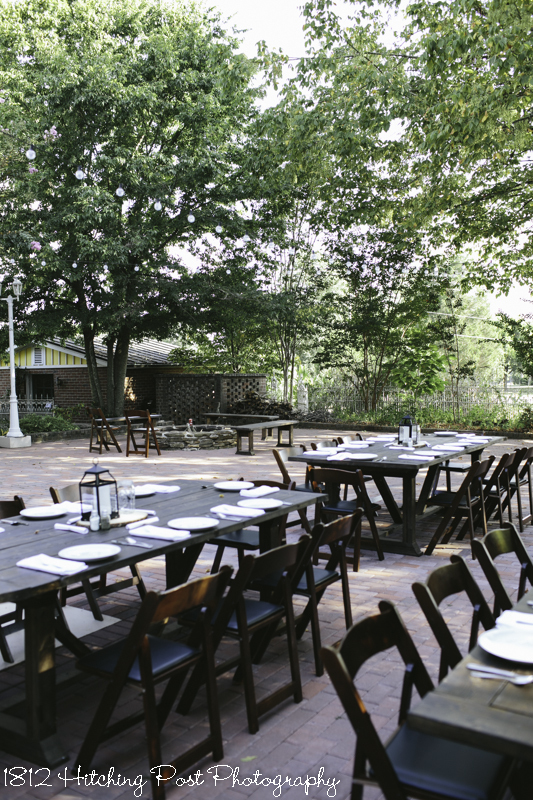 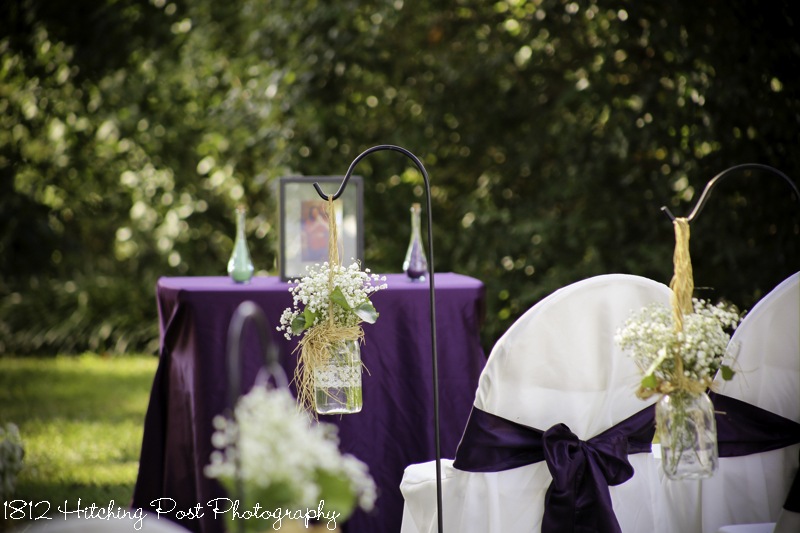 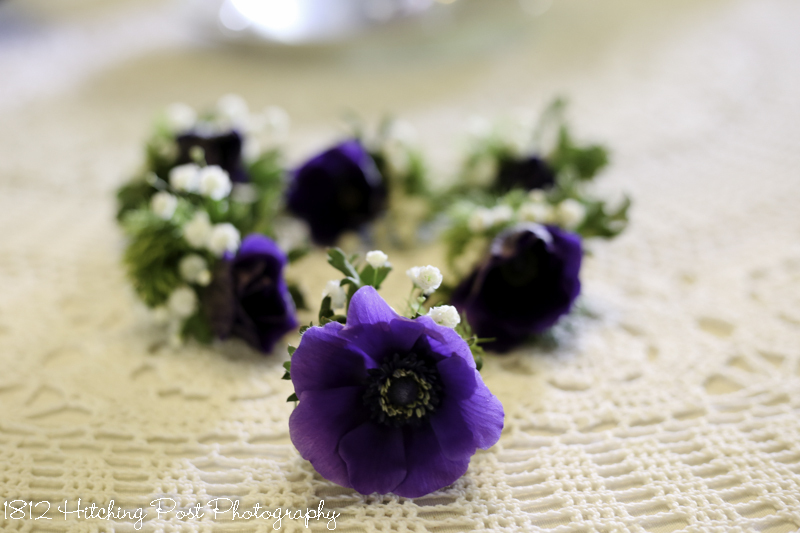 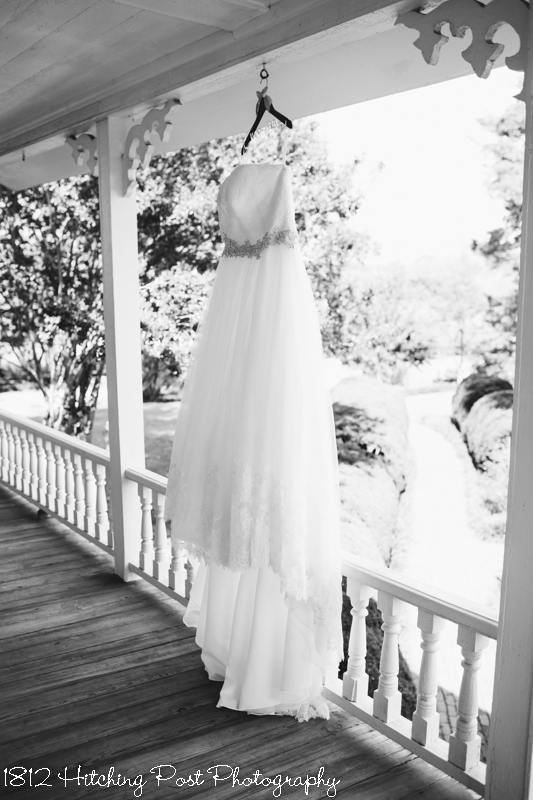 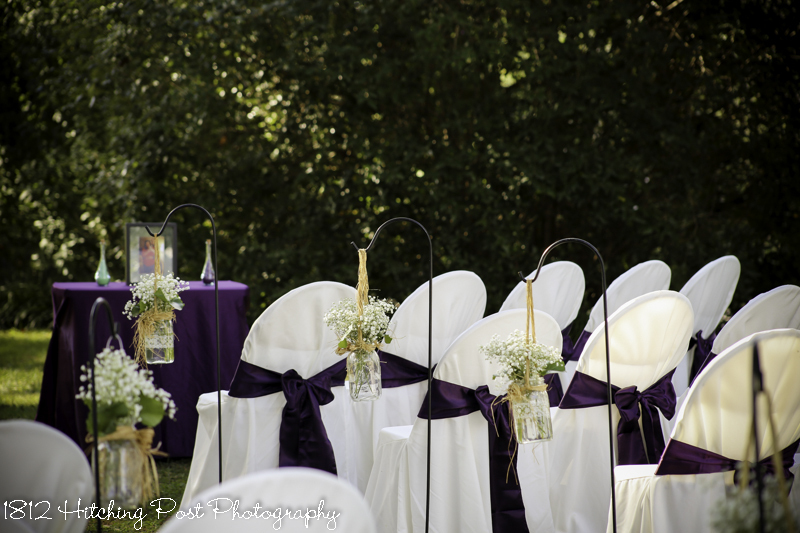 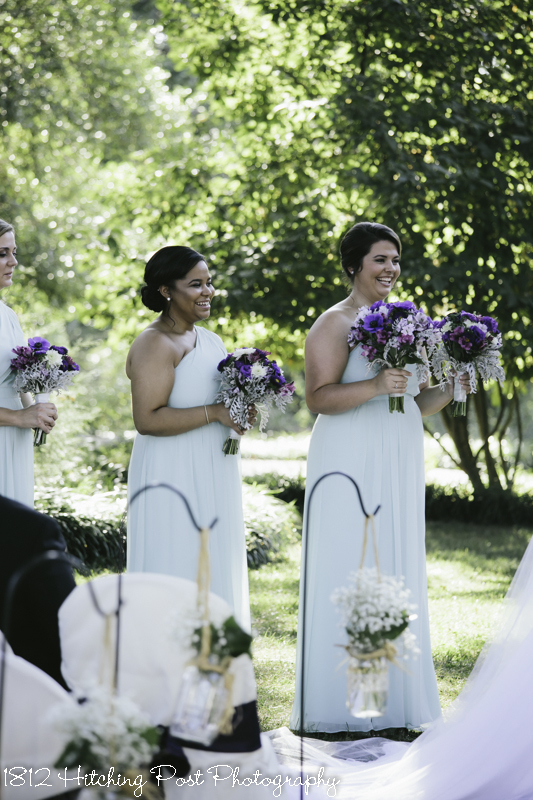 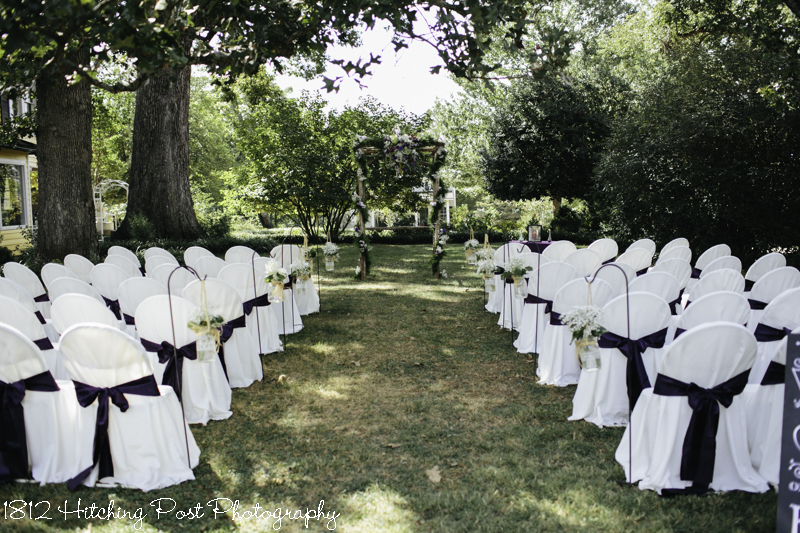 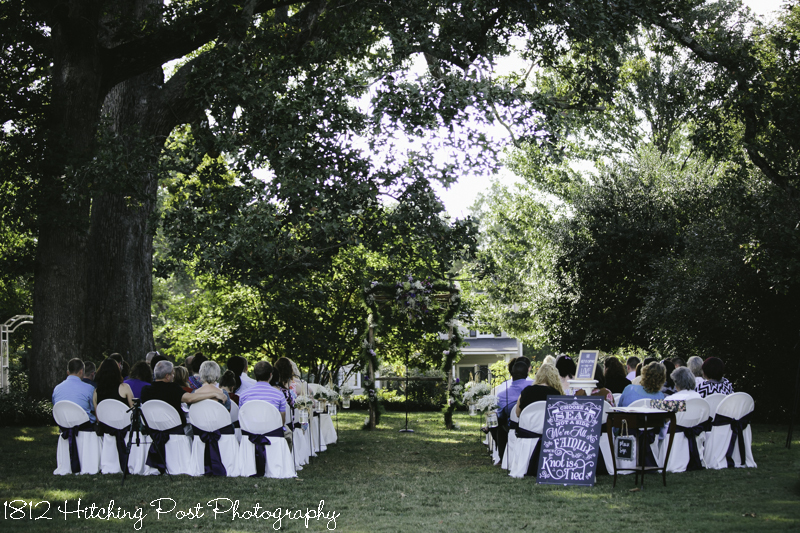 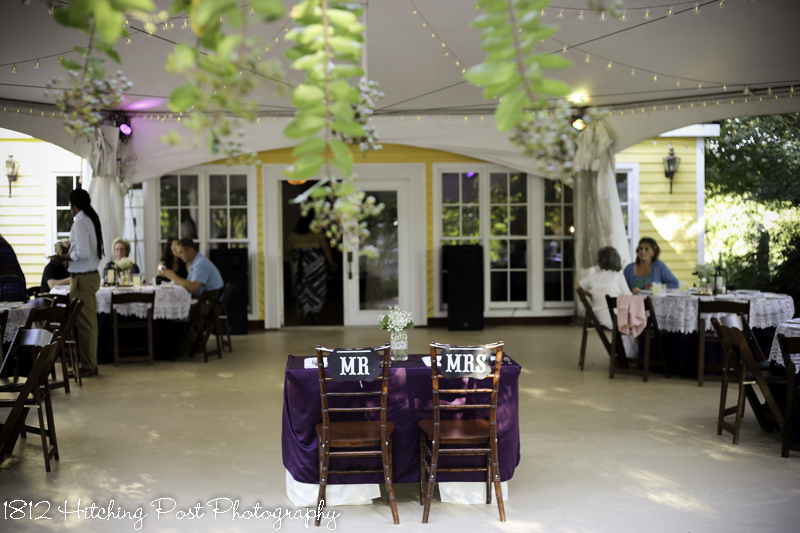 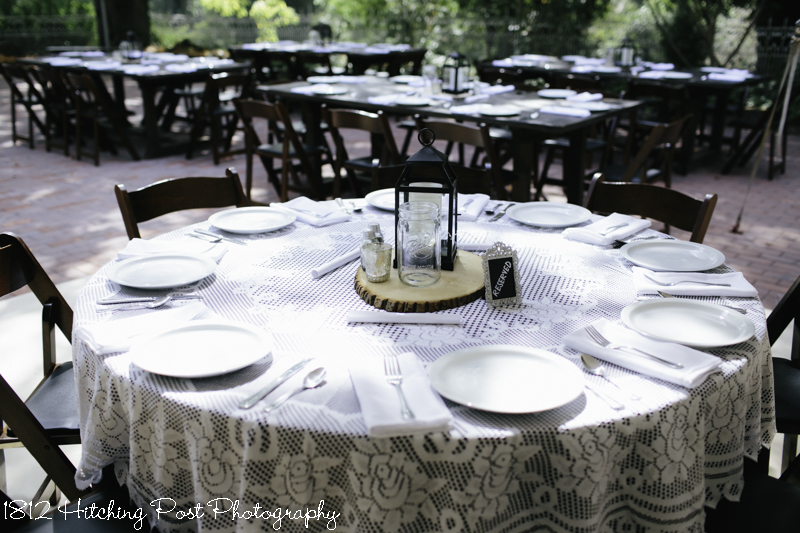 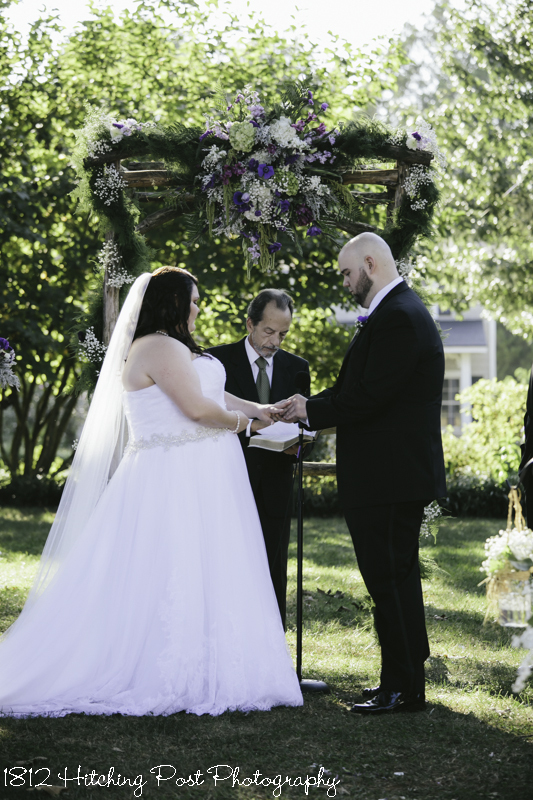 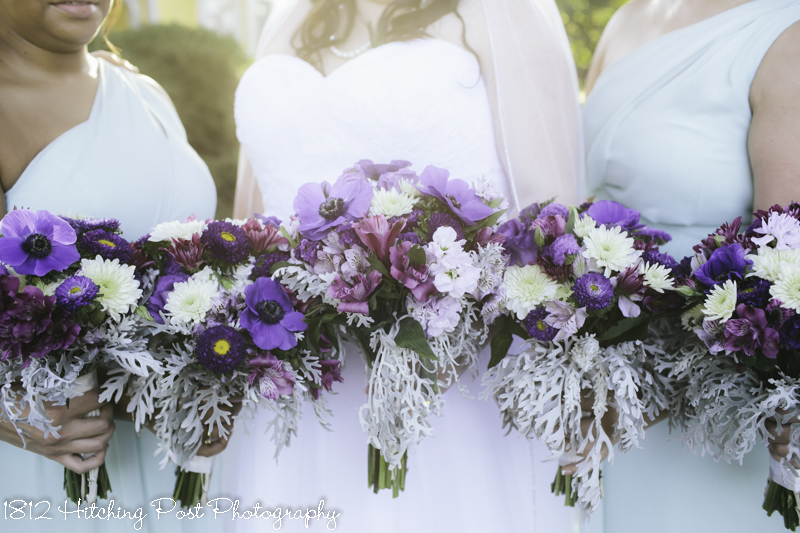 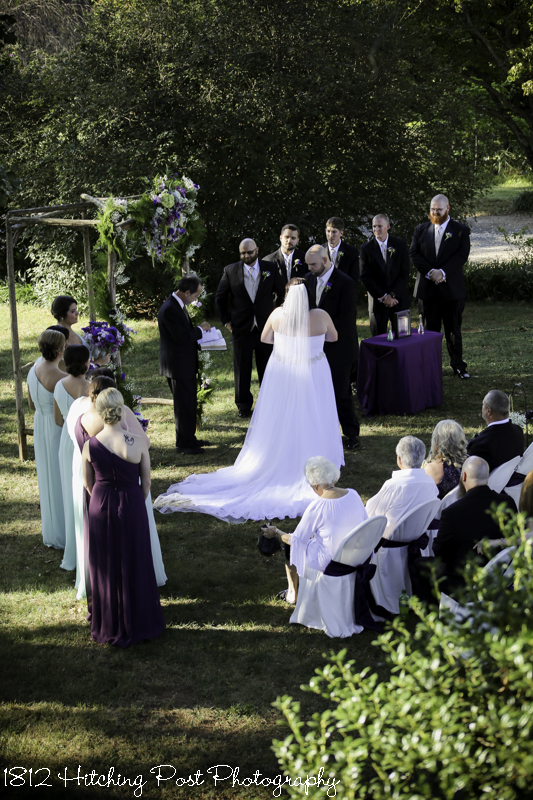 Chairs were covered and tied with deep purple sashes at the ceremony and babies breath in mason jars lined the aisle. 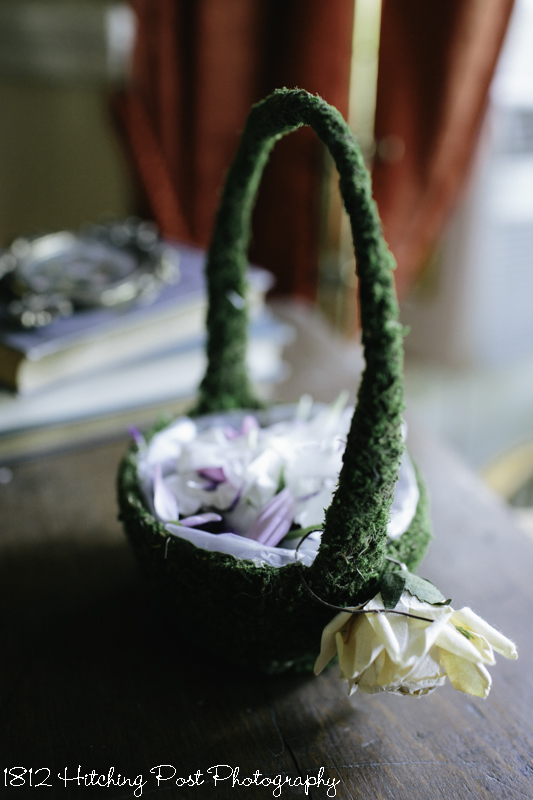 The flower girls carried moss covered baskets (provided by the 1812 Hitching Post) and the couple had a sand ceremony. 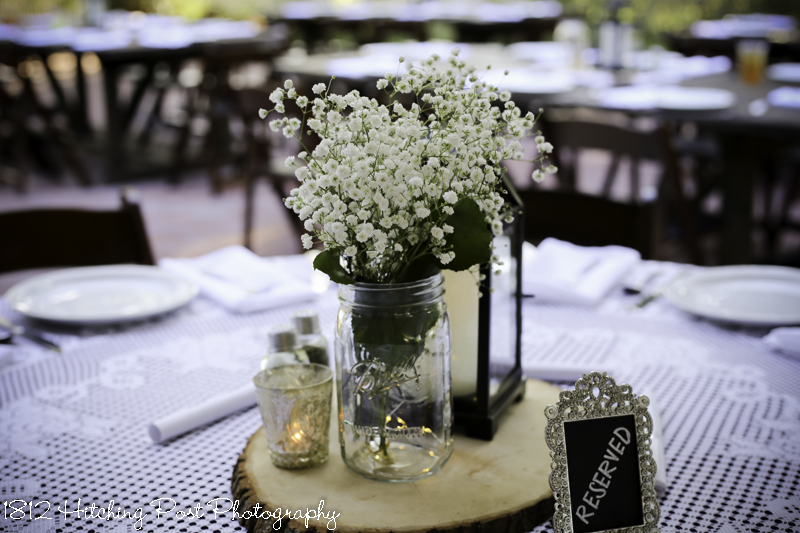 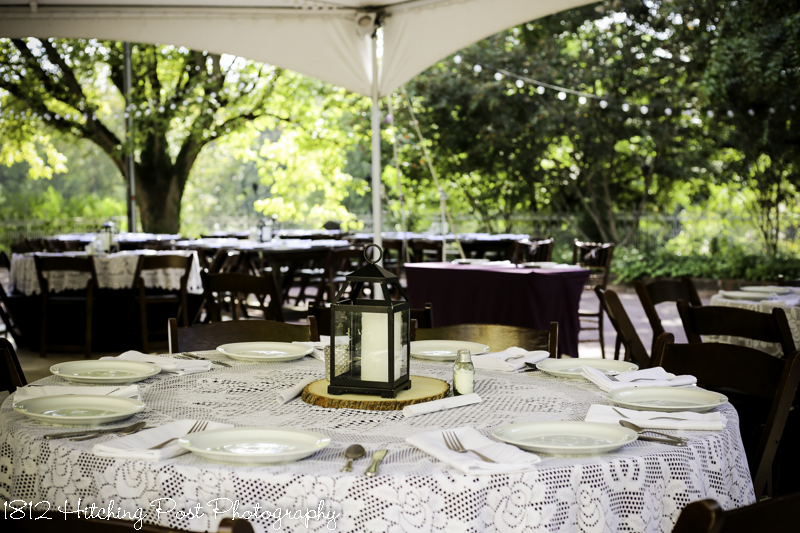 At the reception, tables were covered in plum tablecloths with lace overlays and had centerpieces of a piece of wood topped with lantern and babies breath. 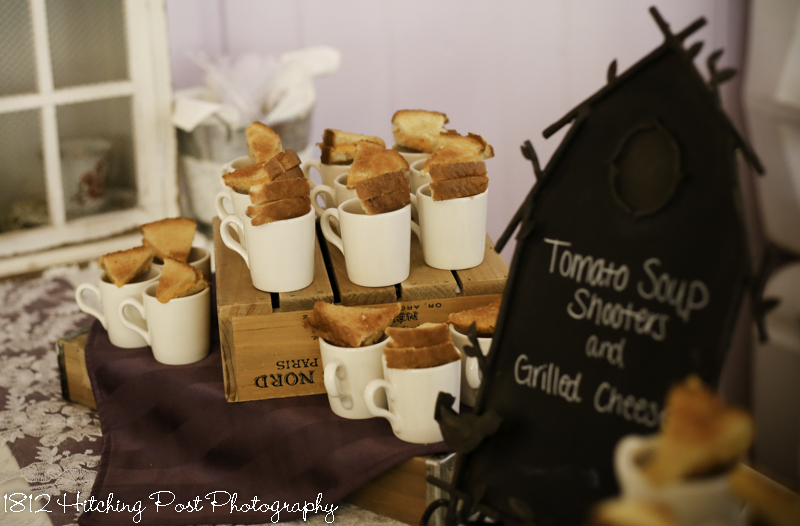 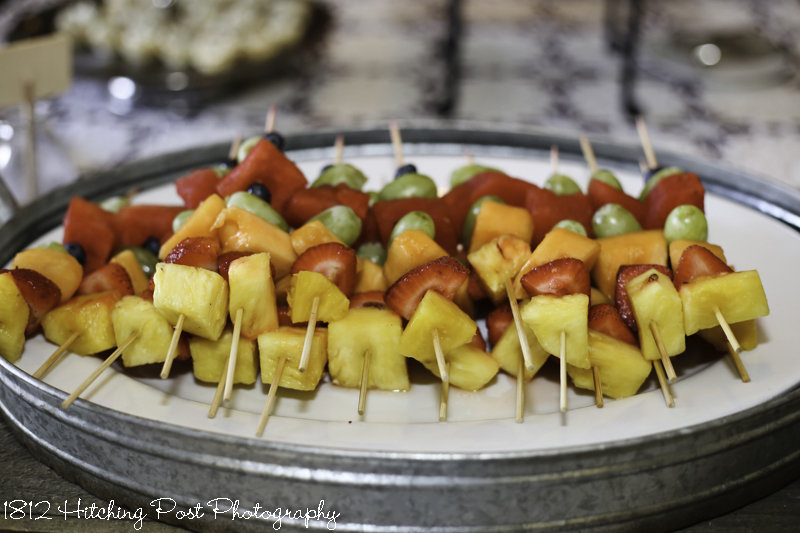 The menu included many 1812 Hitching Post favorites including appetizers of brie with raspberry, chicken salad cups, cheese and crackers, tomato soup with grilled cheese wedges and fruit kebabs. 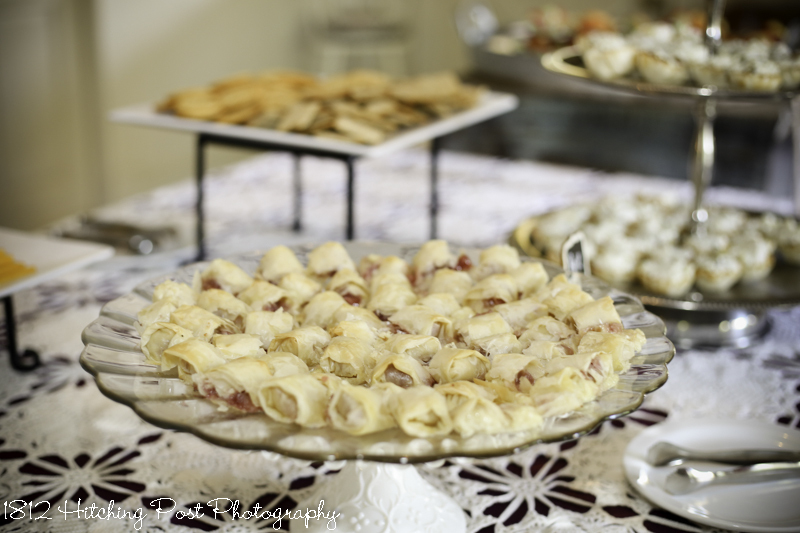 Dinner included parmesan encrusted chicken, roast beef, pot roast, au gratin potatoes, mac and cheese, baked beans, and rolls. 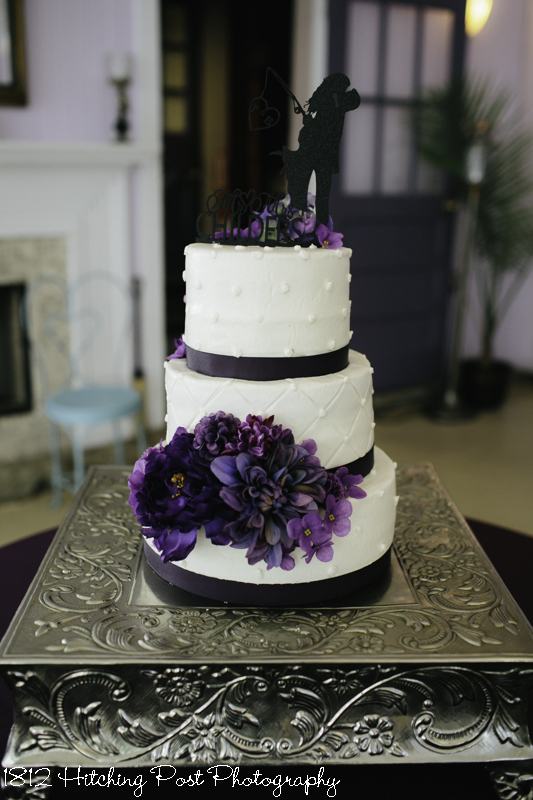 The cake had layers of lemon with strawberry and white cake with cream cheese filling. 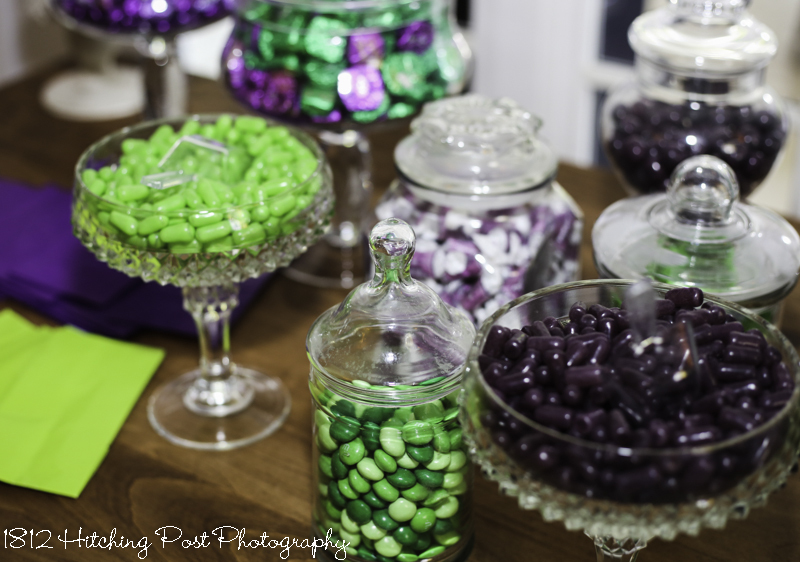 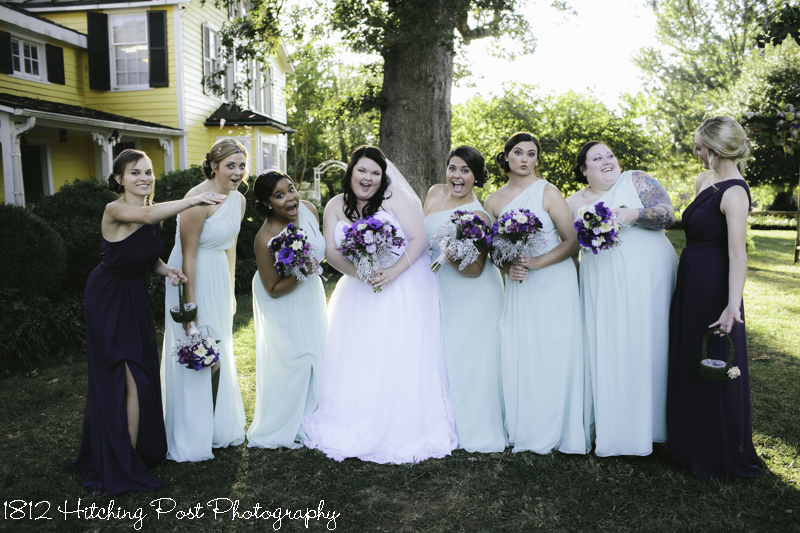 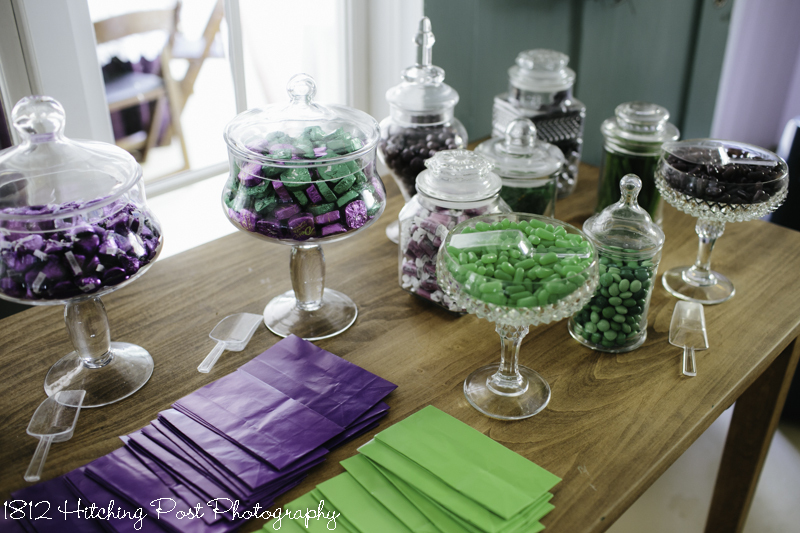 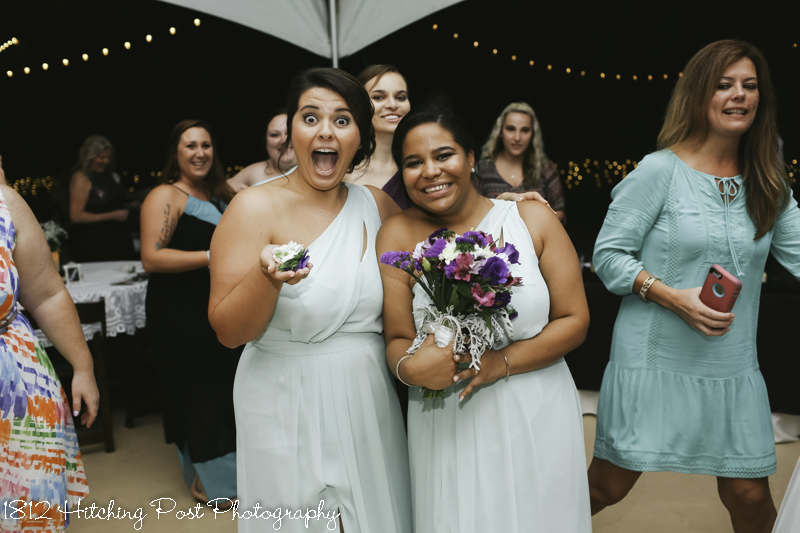 The couple had a candy bar of green and purple candies. 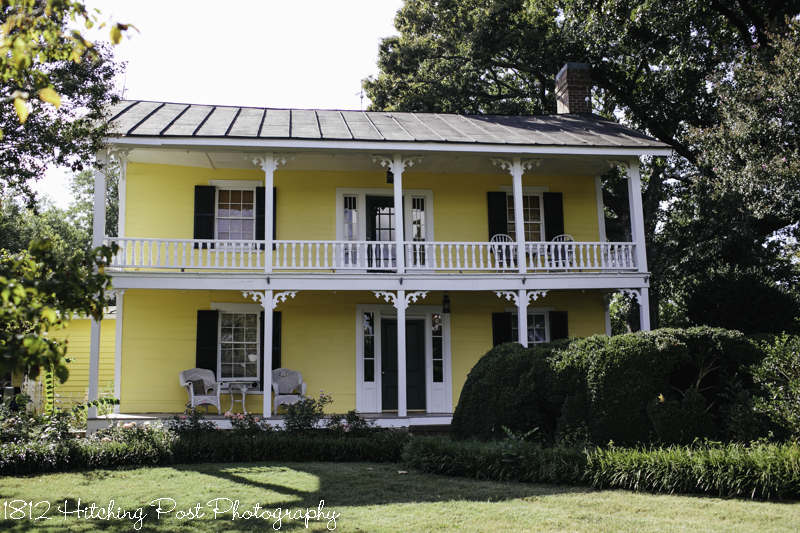 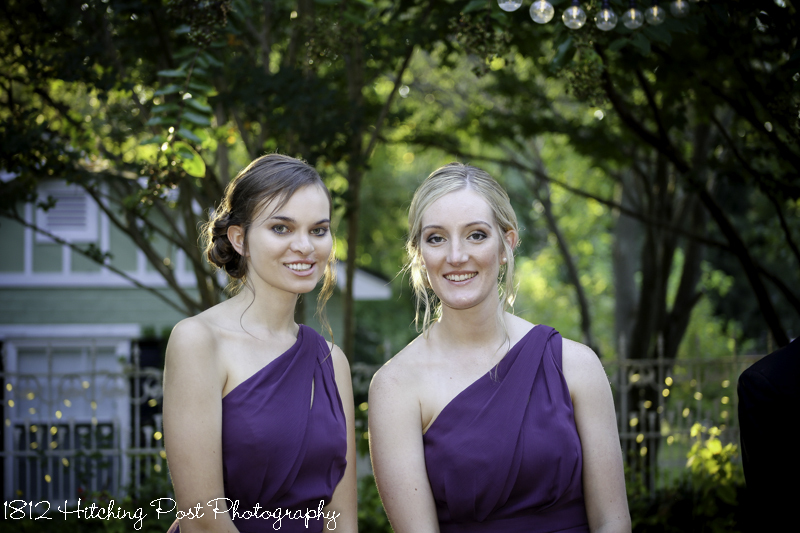 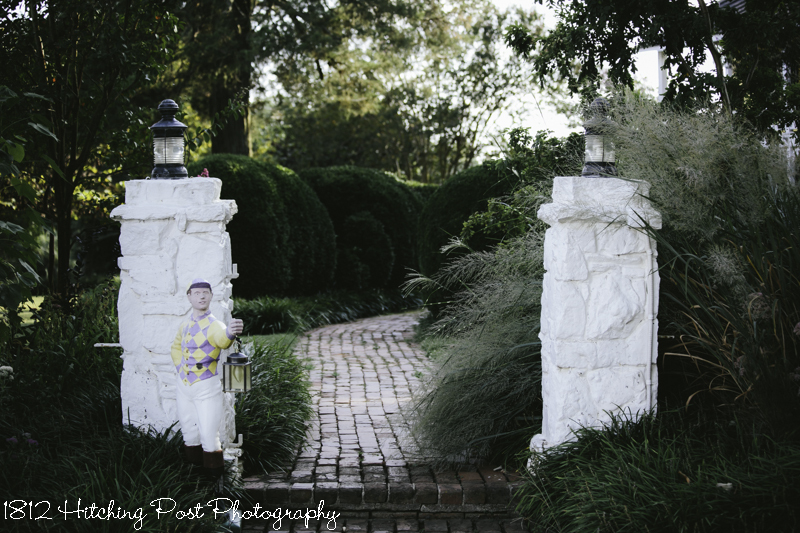 Photography was provided by Taylor Gregory and Wendy Waldron for the 1812 Hitching Post.